The NS Bikes Snabb 160 (w/ DPX2 mount) Frame is the perfect choice for building up a ride for tackling the most demanding days in the saddle. It provides great performance and reliability and its specially tailored geometry offers superb pedalling performance and exceptional handling. Whether you are travelling down a steep technical chute, climbing to the top of your local hills or getting technical over a rocky hazard; this bike provides great efficiency and response, all day long. NS Bikes designed this frame to provide fantastic performance, wherever you are on the mountain. The frame geometry has been customised to feature high-levels of anti-squat performance.  This means that even when consistently standing and pedalling, the rear shock will not compress; resulting in every pedal rotation transferring power directly from the rider to the trail. This suspension kinematic adjustment provides a significant advantage when a 1x drivetrain is being used.